Oprah, Bill Gates, Steve Jobs, & Mark Zuckerberg all have one thing in common. And no, it’s not money. That one thing they all have in common is they all…started. I know it seems simple, but it’s true, that one idea that was stuck in their brain, or written on paper, typed in a document, or just discussed with friends became their money maker. I’m sure I’m not the only one that has millions of ideas that come to mind, and to think that one of my ideas can set me up for life 🤯 blows my mind! It’s just a matter of me STARTING. Today it seems as if the millionaire status is becoming younger and younger & people are becoming millionaires overnight. For example, I’m a fan of YouTube, and a lot of young influencers are noticing how YouTube is becoming a lucrative money maker for content creators. 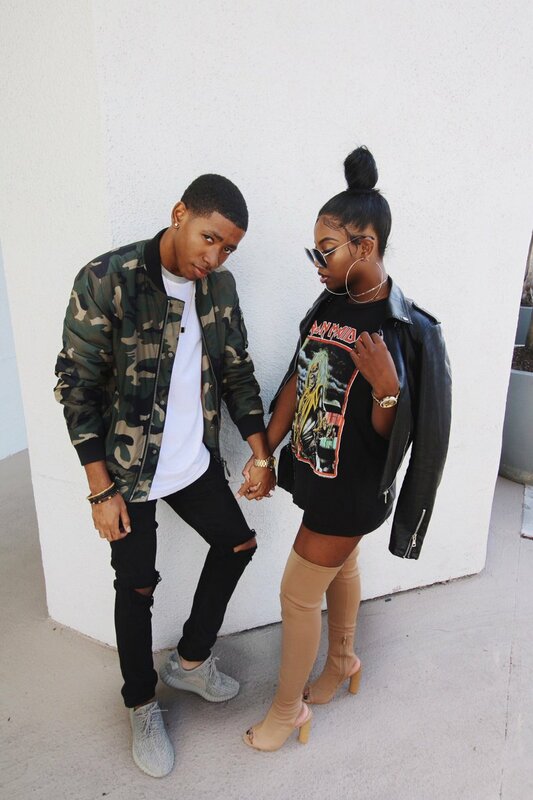 Like my favs Dearra & Ken, a young couple who went viral on Instagram and now have 4 million subscribers on YouTube, starred in a Tyler Perry film, and have been featured on several TV shows, oh yeah and did I mention they are only 22 and 23. They are one of many, but they are my fav influencers to watch because they are genuine and inspiring. Their lives changed from one picture and now their buying houses and traveling all over the world. Truth moment: It can get frustrating watching others gain the status so easily, but I had to change my perspective and marvel at the world changing before my eyes. How amazing is it to know that the millionaire status is becoming younger and younger? Young people aren’t waiting for someone to hand them a check, but instead they are making names for their selves. It’s like a movement, a movement for millennial’s. God made 1 you. That’s your power. There’s only 1 you that will think the way you think, create the way you create, and produce the ideas that’s birthed in you to reach the individuals you are supposed to reach. And I’m not just pushing you, but I’m pushing myself as well. There’s a lot of people in this world that do exactly what I want to do, and that can be discouraging. But instead of comparing myself to them, I constantly remind myself that there is only 1 Chelsea Ollie. They may do what I want to do, but they will not produce, create, inspire in the same way I will… And because I believe in perfecting my craft I watch those people because I know just like they are teaching me, I’ll be a guide for someone else as well, hopefully even younger than me. There is purpose in your process so go through your process and know that you are already a WINNER! God affirms in His Word that we are winners. I heard a pastor say that God speaks to us backwards, He already knows the result, we must change our perspective and know that everything we are experiencing is molding us to that result.